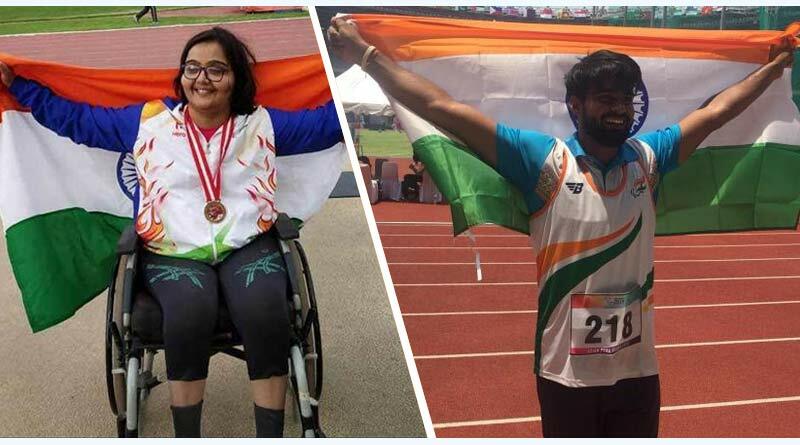 Coming back to Day 3 of the Asian Para Games 2018 India Gold Tally, the Indian contingent continued their strong showing at the continental event with Ekta Bhyan winning the country’s fourth gold medal. She produced a throw of 16.02m to top the women’s club throw event and win the F32/51 event head of Alkaabi Thera who threw 15.75m. Bhyan came into the Asian Para Games on the back of a gold in the Indian Open Para Athletics earlier this year. Continuing that form, she produced her best thrown in her fourth attempt at the Asian Games in the F32/51 category which features athletes with significant impairment in hand movement. After Monday’s 11 medal-rich hauls, Tuesday continued to be productive for the nation with another 4 medals coming in. Along with Ekta Bhyan’s gold, the country also nabbed in three bronze medals courtesy Jayanti Behera, Anandan Gunasekaran and Monu Ghangas. Ghangas came third in the men’s shot put F11 event with Gunasekaran taking the bronze in the men’s 200m T44/52/64 class which sees athletes with leg impairment compete but without the use of prosthetics. Monday had seen India bring in its richest medal haul till now at the games with a total of 11 medals coming in for the country. 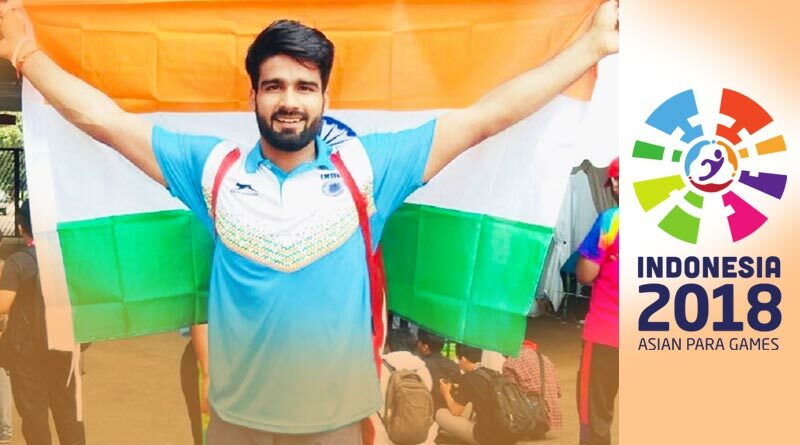 Sandeep Chaudhary had created history on the day by breaking the world record in the javelin throw with a throw of 60.1 metres in the F44 summit event to break the earlier mark of 59.82, which Chinese Mingjie Gao made in 1980. A world record effort by India’s star performer at the games saw India bring in its first gold medal of the games. “For the Asian Para Games, I had a very good preparation and with a world record I have won a gold medal and I’m really happy with that,” Chaudhary said after his event. “I’m not going to stop there with that performance, I will try my best at the next World Championships in Dubai. Thanks to my coach and the Paralympic Committee of India who supported me at every level, it is a really good achievement for India and for me also,” he added. Middle distance runner Raju Rakshitha (women’s T11 1500m) and swimmer Jadhav Suyash Narayan (men’s S7 50m butterfly) added to Sandeep’s yellow with their superlative performances. Rakshitha came first with a time of 5 minutes and 40.64 seconds in the 1500m event for runners with very low visual acuity and or no light perception. For more details on Asian Para Games 2018 India Gold Tally and related updates, like and subscribe to tentaran.com.